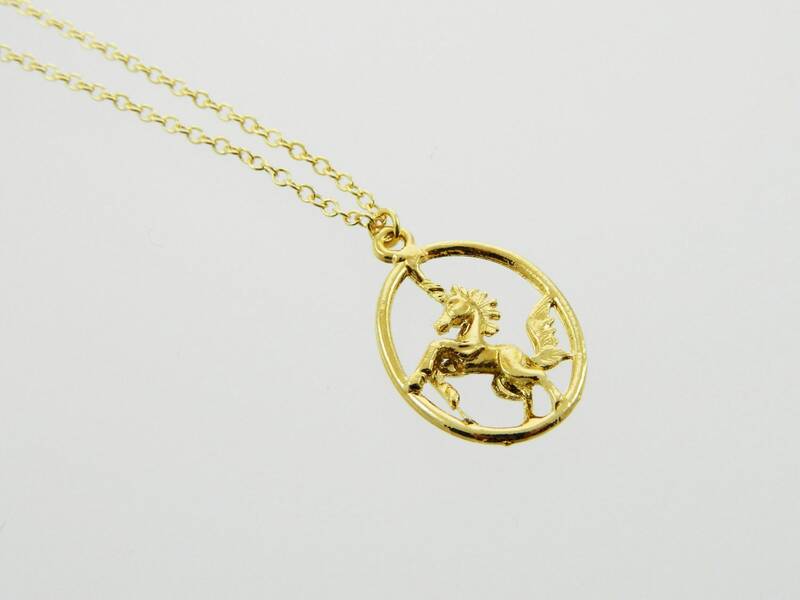 Gold Plated Oval Unicorn Pendant. Pendant Material: Gold Plated Brass. Chain: New 18K Gold Plated Chain with lobster claw closure. Choose 16" or 18” chain length.